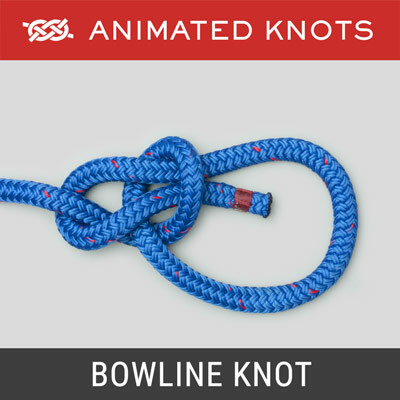 Start with a Wall Knot. Position each strand near the one to follow. Gold follows red under blue and up through itself. Red follows blue under gold and up through itself. Blue follows gold under red and up through itself. Tighten carefully and re-lay the rope. Uses: The Double Matthew Walker (ABOK # 681 - 3, p 118) provides a secure stopper that cannot be untied without unraveling the rope. It is included here because I have had multiple requests for it - not for its intrinsic usefulness in boating today! 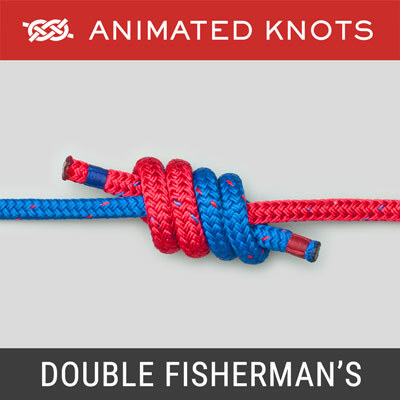 Sequence of Stopper Knots: The Double Matthew Walker is a one of a sequence of knots that are created in the middle of a three-strand rope. They are illustrated in the final frame of the animation. 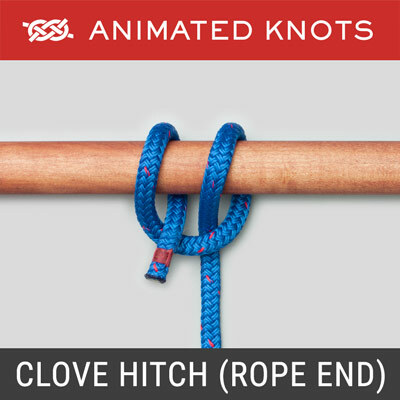 The Wall: The simplest is the Wall Knot which was used to start this animation. When the wall is tightened and the strands laid up again to re-form the rope, it creates a small permanent stopper knot. Matthew Walker: The Matthew Walker is a little simpler that the Double Matthew Walker. 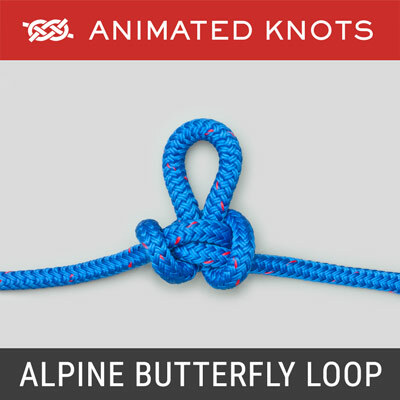 In the animation, each strand would be brought up one strand earlier. The Gold through the Red, the Red through the Blue, and the Blue through the Gold. 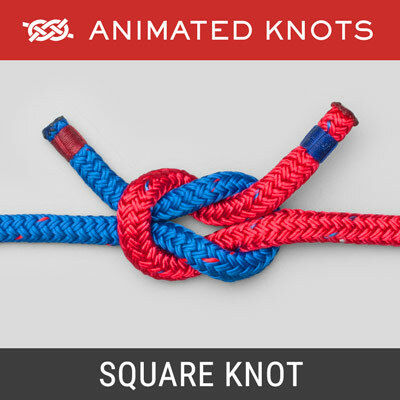 It creates a stopper knot of intermediate size. Double Matthew Walker: The Double Matthew Walker is illustrated in the animation. It creates the largest of this sequence of permanent stopper knots. Applications: Other than for decoration, modern yachts have virtually no use for a Matthew Walker. This is in striking contrast with the past when the Matthew Walker was widely used. 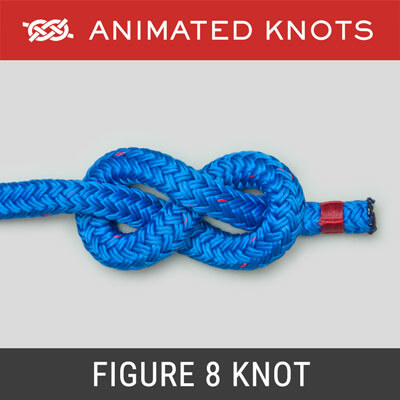 Ashley (ABOK page 118) states, "It is the most important knot used aboard ship." 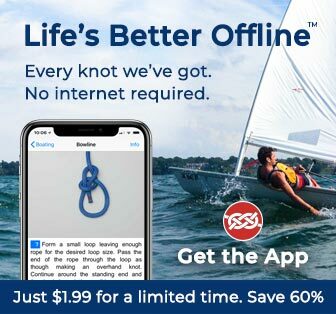 He goes on to quote Todd and Whall in Seamanship: "Amongst knots proper the Matthew Walker is almost the only one which it is absolutely necessary for the seaman to know." It, or the Double Matthew Walker, was used on "topmast rigging lanyards, bunt beckets (rope loop), and the beckets of tubs and buckets." The words themselves are now just echoes of a distant past. Disadvantages: The Wall and both the Matthew Walkers all require the rope to be laid up again and then finished, preferably with an elegant whipping.